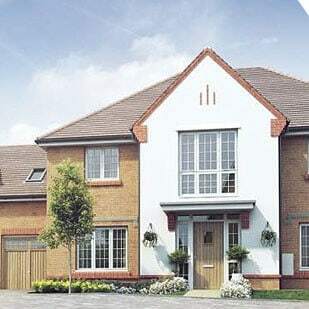 It’s always hectic to move into a new house, no matter whether the house is in the new city or the same. You have lots of other works and things to look after with new keys in the hand. On top of that if you have to clean the whole house, then every other thing starts looking small. Don’t worry, at Ecof Cleaners we understand that feeling and provide amazing move in cleaning services Vancouver BC. In our team, we have specialized move in cleaners Vancouver BC to ensure that, for you, moving in remains a pleasing experience. Our move in house cleaners Vancouver, through their service, say welcome in style. They take care of every big and small thing in your new house and clean them with perfection. To guarantee that you get the best from our moving in cleaner service Vancouver, we work every day and almost every way possible. With the aim to be with you at every corner and become the largest move in cleaning company Vancouver we are expanding and building long-lasting relations throughout our journey. We cover whole-length to enrich your cleaning experience. As we told, we know the situation of the person moving into a new house. It gets critical to being bad when the house is in the new city. So our team at Ecof Cleaners move in cleaning company Vancouver offers the best. To relieve you from the exhausting task of cleaning, we want you to remain focused on your important work and never feel the annoyance of changing home. If you want to look for the deep cleaning service provider Vancouver BC then remember Ecof Cleaners is the all rounder. Ecof Cleaners is amongst the top move in a cleaning company and that is visible in the quality of our work and team members. It’s not easy to become move in house cleaners Vancouver at Ecof Cleaners because we have high standards for skill and ask an individual to go through proper amount of training. All this not only ensures that our customers get the best but also the safety of our team members as well. In case any problem arises with our move in cleaners Vancouver, we give utmost attention to it and take the best possible action on that matter. Avail services from move in house cleaners Vancouver at Ecof Cleaners and give your attention to work which genuinely requires it. Providing the best move in cleaners Vancouver is not an easy task. This requires a continuous and an effective process to be followed. For a person to be a part of Ecof Cleaners move in cleaning company Vancouver, it’s essential to be skilled and focused. This allows us to provide certified and guaranteed moving in cleaner service Vancouver. 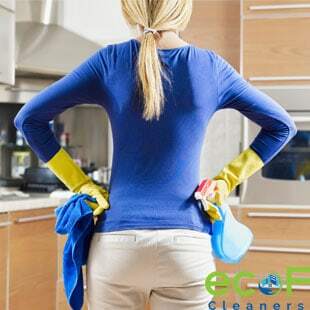 Ecof Cleaners the best Vancouver BC cleaning & maid services, Offering the best cleaning services in the state. We screen the individual and find the best talent. Only after which we bring them to you for the services. But this is not enough. As technology and products changes, therefore to match the levels, we upgrade on an ongoing basis too. In the manner, we take care that our team members are apt for our services and have enhanced safety and communication skills as well. Through this way, we find individuals and make our team stronger and larger than before. As our team members are one of the most important pillars of our move in cleaning services Vancouver, therefore always take care of them. We confirm that our offerings are both fruitful for our customers as well as our team members. Ecof Cleaners in its move in cleaning services Vancouver BC takes care of everything to make your new home free from dust and disinfect it too. With our powerful and advanced moving in cleaner service Vancouver, we clean every part of your house to look spectacular. We obviously do dusting, mopping and vacuum all the surfaces. We as Ecof Cleaners are offing move in cleaning services West Vancouver BC as well since 2018. But in addition to this, we ensure that there is no cobwebs and trash anywhere in the house. Our move in house cleaners Vancouver uses non-harsh and bio-friendly products. Ecof Cleaners’ name is in the list of those few move in cleaning company Vancouver that takes every minute detailing seriously and works with perfection on every aspect. Following this path of perfection landed us amongst the top players of the industry. All our offerings are driven by the zeal to give top-notch service standard and stay progressive for the better. If you want to feel the difference then surely you should use our services at least once. Until this point, we discuss our way of working and told how we create a top-level move in cleaners Vancouver BC. Now let’s talk about how you should analyze the best skilled and professional move in house cleaners Vancouver. When it’s about you and your house then never have the careless approach. Through the casual approach, you find and select any service provider on the go. That selection hurts at later stages bringing in problems and dissatisfying results, which a customer never expects. To find the best commercial cleaning service Vancouver BC, you do not have to find any other cleaning company, as we do provide the most affordable commercial cleaning service in Vancouver BC. To remain satisfied that not only you get the optimum move in cleaning services Vancouver but the safety of yourself, your home and your family members is not at risk, do talk. Talk with the service provider about the way of working and how they find people for their moving in cleaner service Vancouver, British Columbia, Canada. If they don’t revert in a fulfilling manner, it’s better to stay away from them. You can always test us with your questions and team at Ecof Cleaners will explain you everything if you are looking for the best move in cleaners service provider in Vancouver city. 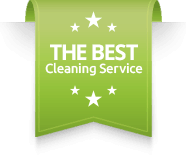 Rely Only On Best Move In Cleaning Company Vancouver. At Ecof Cleaners, we request everyone that don’t select move in cleaning services Vancouver randomly. Only go with a move in cleaning company Vancouver which has solid client history. To be on the better side, ask for damage protection. Take care that that move in house cleaners Vancouver are insured. Due to this professionalism, we save you from any trouble you might face while taking services from any uninsured worker. To weed out all the problems and issues in the place, we only offer 5-star cleaner to all our customers. Not just that, you can easily book and take care of everything online with ease. We also provide all our clients with damage protection service to double-check that while moving in they don’t feel the extra burden. Our services are guaranteed and if once in a while we hear that any of our customers are unhappy from our moving in cleaner service Vancouver, we are ready to do it again. Want to know more about Clean House? Read more here. So you can count on us, without any hesitation and discomfort. At Ecof Cleaners, being a move in a cleaning company, it’s our duty to take care of all your needs when you move into a new. We keep no stone unturned while cleaning your home and we feel pride about that. All our move in cleaners Vancouver are pet-friendly and we plan ahead for them too. If we feel that pet needs to restricted at the time of cleaning we tell you in advance. So next time you move in, don’t forget to avail moving in cleaner service Vancouver from Ecof Cleaners. In case you have recently moved in or planned in near time then we are just a message away and ready to help you to find the estimated cost from the best move in cleaning company in the Vancouver city. And if you are struggling to find move in house cleaners Vancouver then give us a chance to serve you with our move in cleaning services Vancouver. We commit that you will not regret. Since for us, giving best moving in cleaner service Vancouver is not occasional rather it’s our habit and we deliver the same way to our every customer. 1. Is It Easy To Find Move In Cleaning Services In Vancouver? A. Nope, it can be a nightmare as it’s hectic but a friend of mine suggested Ecof Cleaners for this and believe me, they are great! 2. What To Expect From Move In Cleaning Services In Vancouver BC? A. I guess I had luck with this because I somehow got this service from Ecof Cleaners and they have all-inclusive cleaning, they do everything and that’s satisfying. 3. Is It Costly To Avail Move In Cleaning Services Vancouver, British Columbia, Canada? A. No. At least for me, it wasn’t because I took services from Ecof Cleaners and it was affordable. and it varies so better contact them to know the exact cost. Today I had the tiring feel of moving in. Thanks to Ecof Cleaners they helped me from cleaning at least. I had an amazing experience with their move in cleaning services.